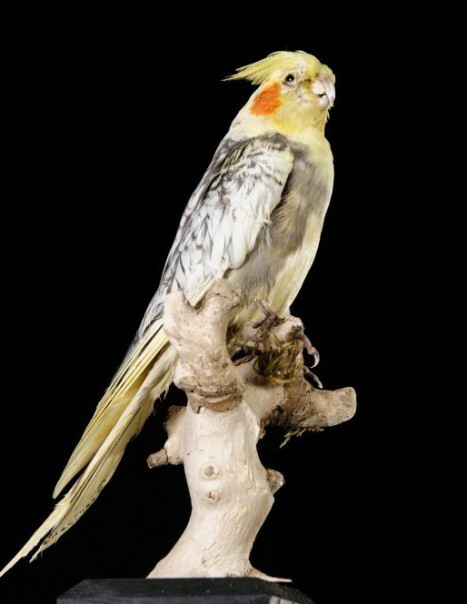 The Cockatiel is a small cockatoo endemic from Australia. It belongs to the Family of Cacatuidé. It lives within the Australian continent. The adult male has gray plumage overall. The upperside is gray with a very obvious white wing patch. The long tail is gray with the two central rectrices longer and clearer. Flight feathers, tail feathers and rump are paler gray than the coat. On the head, the face is yellow, orange-red with ear covers. The long pointed crest is gray, tinged yellow with yellow edging. This ridge may be vertical, oblique or flat, depending on the mood of the bird. The hooked beak is dark gray. The eyes are dark brown. Legs and feet are gray. 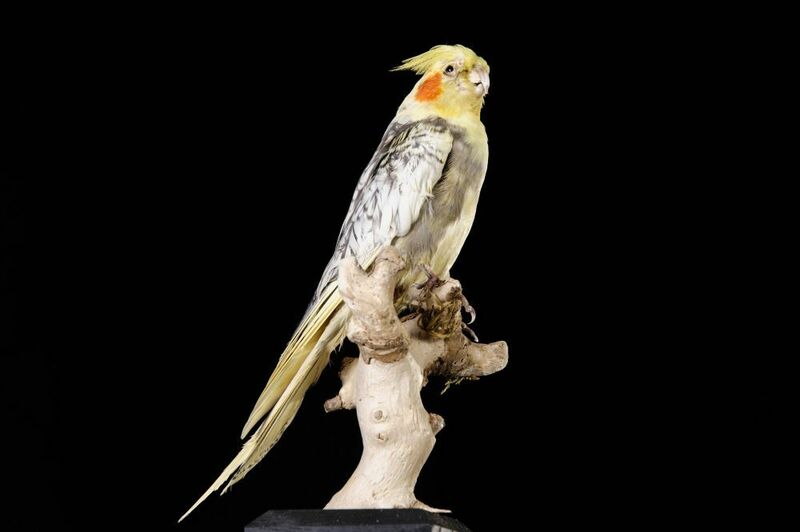 We can find various colors in high cockatiels in captivity. The adult female is similar to the male on top, but it has the lower back, rump and tail light gray plants, finely barred with white and yellow. Outer tail feathers are yellow on top and bottom. Young is similar to female, with the beak horn and gray. The Cockatiel can be seen up to 400 meters. It likes both the urban areas, parks, crops in the country where there are few trees in cultivated areas, savannas, dry open country or semi-arid and open forests, close to the water.It is usually found in small or large groups that feed on the ground in silence. However, this species is noisy in flight.It sleeps at night in shared dormitories, hidden in the thick foliage of the trees. They leave the dormitory early in the morning before sunrise. It forms large flocks outside the breeding season. Northern birds are very mobile while southern populations migrate, arriving in the spring to breed and migrating at the beginning of the following year. These species are considered pests of crops by farmers because these birds devastate the fields where seeds, that are their favorite food, is abundant. They also like acacia seeds, fruit and berries. It feeds on the ground twice daily. It needs to drink regularly and this species is often close to the water. It reaches sexual maturity between eighteen months and two years. Breeding season occurs from August to December and sometimes even starts in April. The nest is placed in a tree hole, near or in the water. The hole is lined with wood dust without special care. The female usually lays 4 to 7 white eggs. Incubation lasts about three weeks, shared by both parents. The female incubates the night while the male remains at the nest during the day. At birth, the chicks are covered with yellow hairs. They are fed by both adults. Its lifetime is estimated at 20 years.